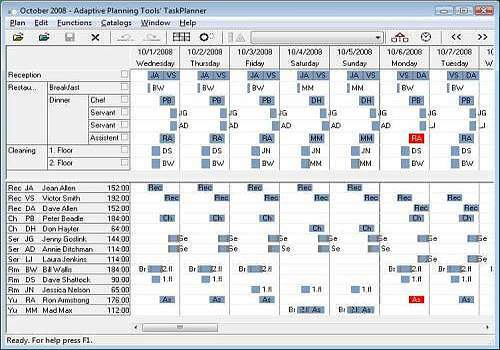 Task-Planner addresses the problem: Who is to do what and when. To this end Task Planner contains two schedules 1) the activity schedule and 2) the working hours schedule and an automatic assignment procedure based on competences. This unique approch pinpoints the scheduling problem. If the schedule expedites a recurrent pattern a template covering the pattern can be formulated. Look and feel of the familiar planning board.